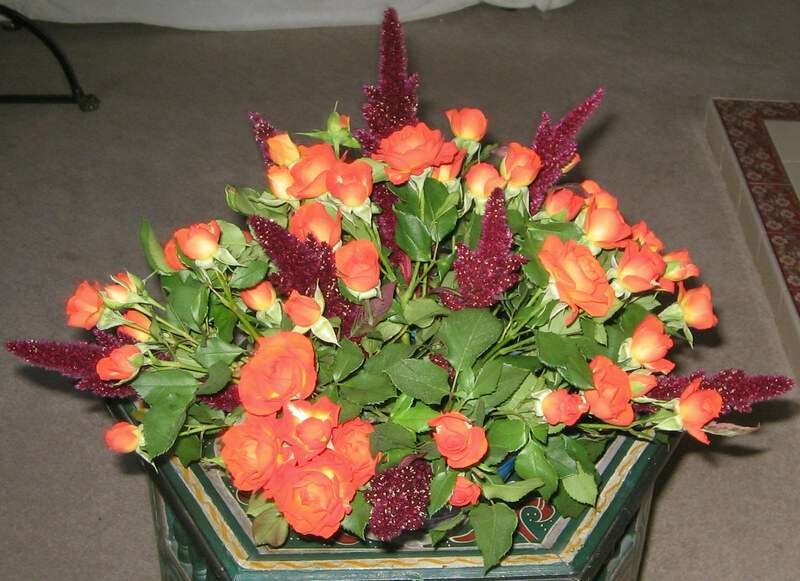 I’ve just put this together from left overs and I’m quite pleased with it – I had some orange roses and a bit of amaranthus and so hey presto an orange rosebowl it is….. meanwhile in the oven we have oranges drying so I can start on the Christmas wreaths and things. The great Christmas craft fair season is getting underway. Tomorrow I’m popping into one in Ossett where you can see and order our signs at Mrs Madden’s house, her speciality is pinnies, customised and vintage ones (see http://www.mrsmaddenmakes.co.uk). Next week we go to Harewood House for Autumn Glory on Tuesday 26th. Looking forward to it, there’s children’s storytelling, broomstick making and leaf printing and a farmers market and craft market, and more (just can’t remember what else at the mo….) so I need to get busy!